Loomstate !Act Natural! 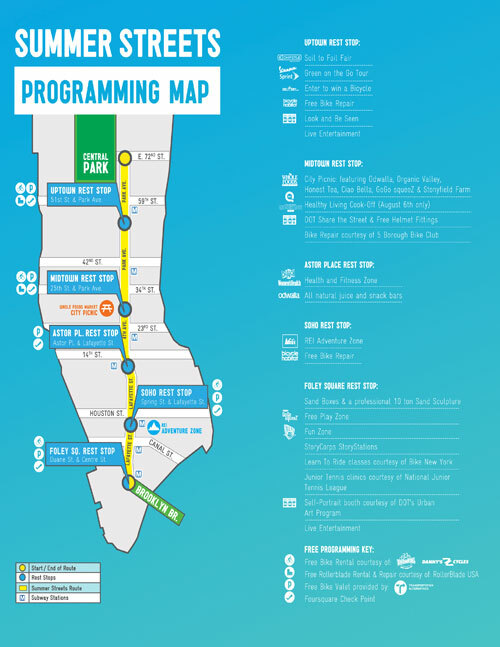 Blog: Join Loomstate at Summer Streets! Join Loomstate at Summer Streets! Walk, run, bike, take the train, or hop over to Summer Streets tomorrow! From 7am to 1pm, Lafayette from Brooklyn Bridge up 4th Ave then Park Ave ending at Central Park will be blocked off for anything but cars. You could probably do cartwheels in the middle of the road from the bridge to the park, not that we're recommending it. Loomstate will have a tent showing how organic cotton seeds become organic cotton graphic tees, screen printing tees right then and there, and raffling them off. We'll be hanging out with the cool kids from Chipotle who will be demonstrating how to make their delicious guacamole. Look out for us by the Uptown Rest Stop / Chipotle Soil to Foil Fair Tent at 51st Street and Park Ave.
We'll be there tomorrow and 2 Saturdays after! Come play!